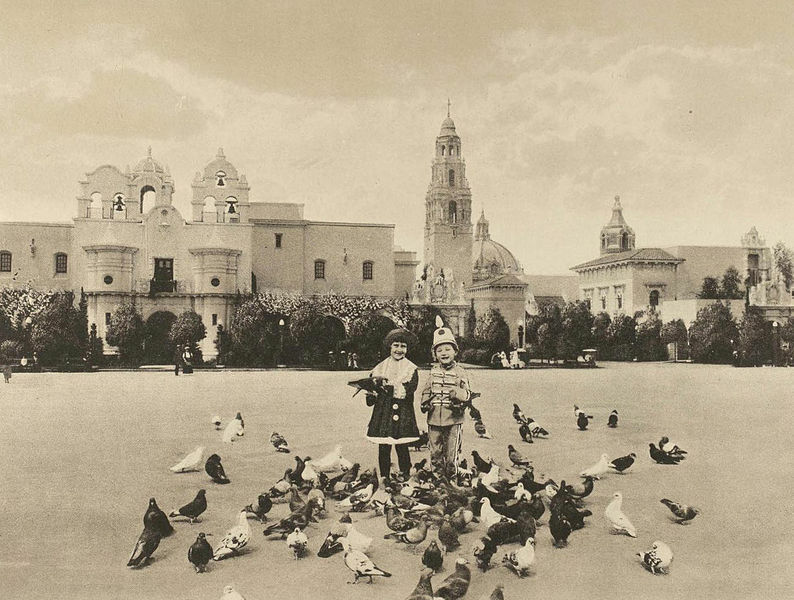 Historical photos of Balboa Park a century ago. – Cool San Diego Sights! 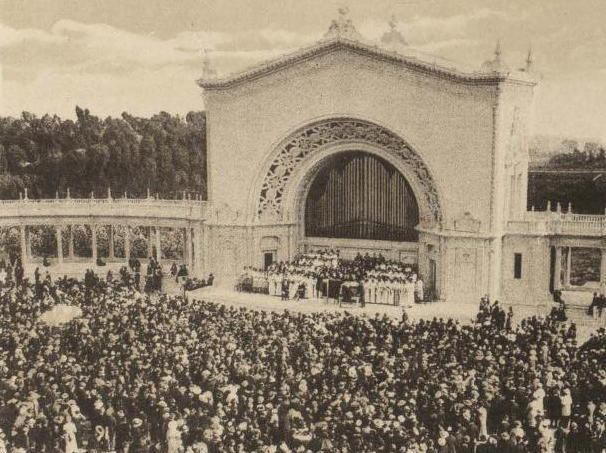 The Balboa Park Centennial marks the hundred years that have passed since the opening of the Panama-California Exposition in 1915. 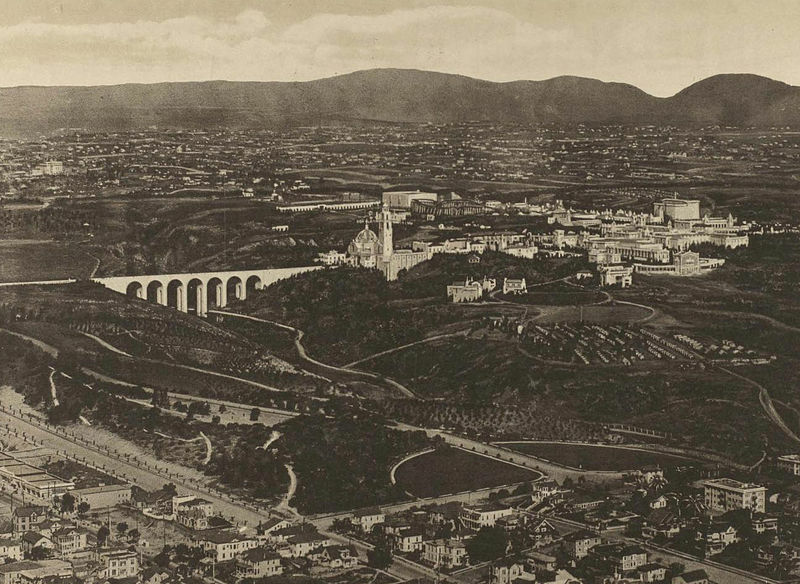 While a large open space park near downtown San Diego (originally named City Park) was established in 1872, Balboa Park didn’t really take shape until many years later. 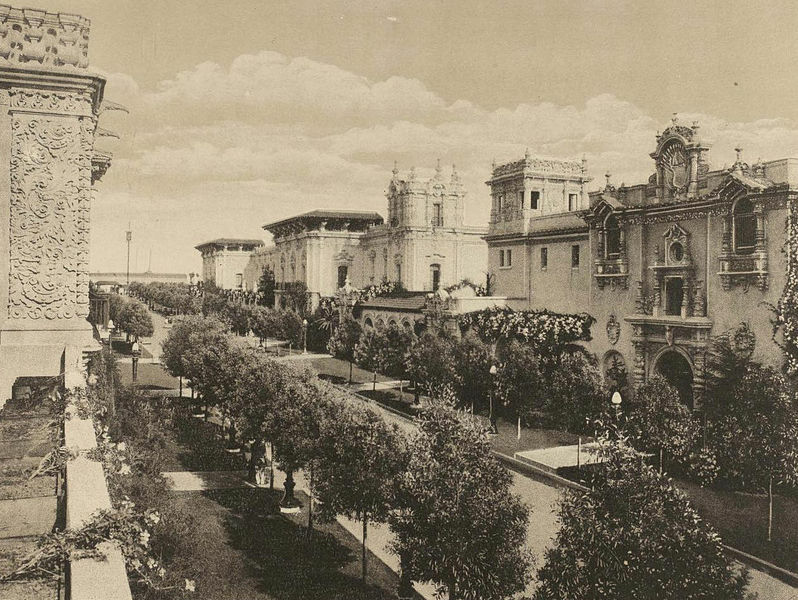 Many of the buildings along El Prado which visitors enjoy today owe their existence to the development of the Panama-California Exposition, which covered 640 acres and promoted San Diego as the first United States port of call after a passage through the newly opened Panama Canal. 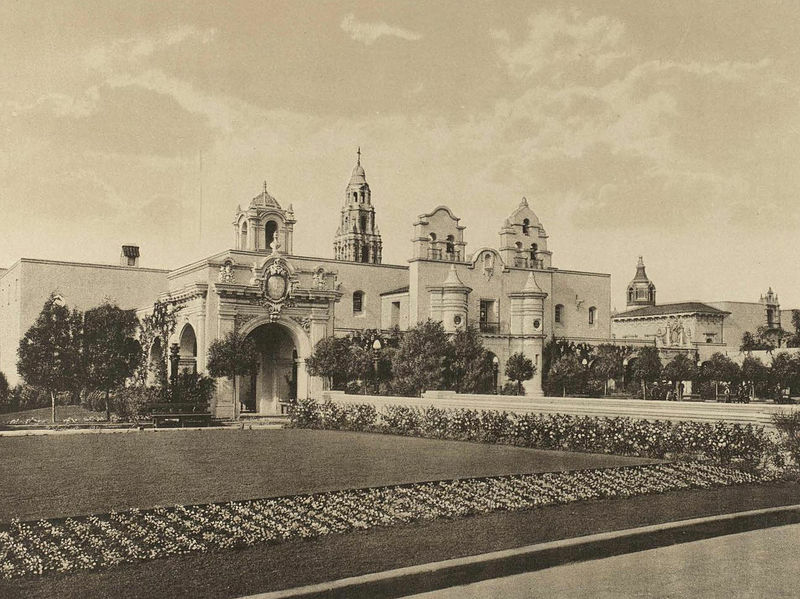 Other parts of Balboa Park were created twenty years later for the California Pacific International Exposition–but that’s a different story. 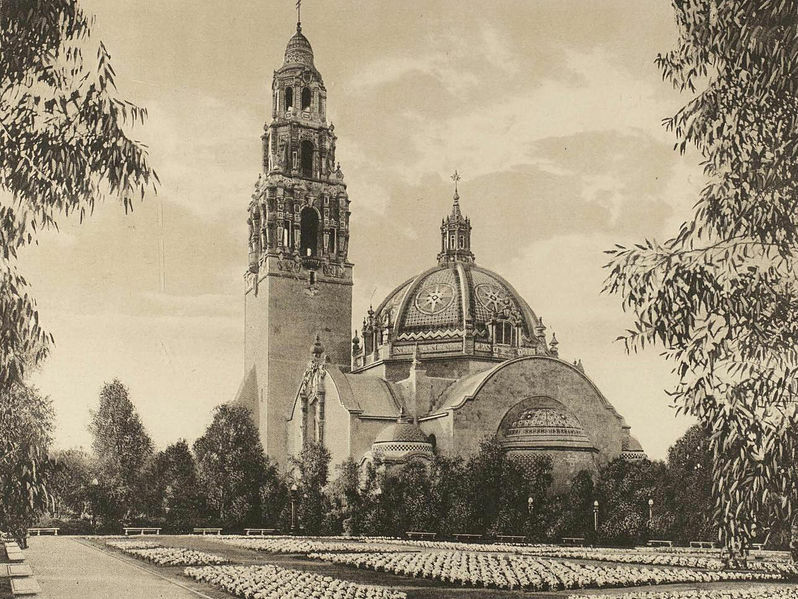 In honor of the Centennial–now just two days away–I figured I’d post a bunch of historical photographs of Balboa Park as it appeared a century ago. 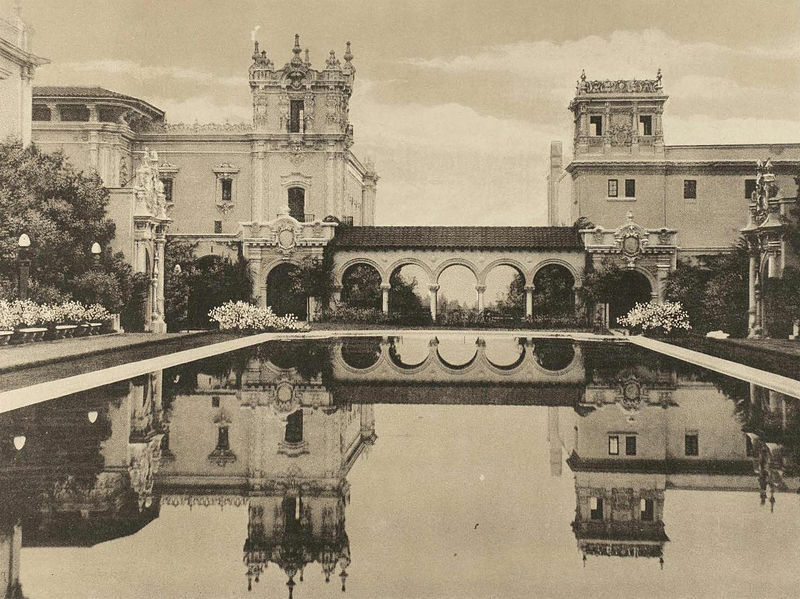 The following black-and-white photos are from Wikimedia Commons, and provide different views of the amazing Panama-California Exposition. I had to do a little detective work with some of the images. Since I’m by no means an expert, please leave a comment if I’ve written captions that require correction. 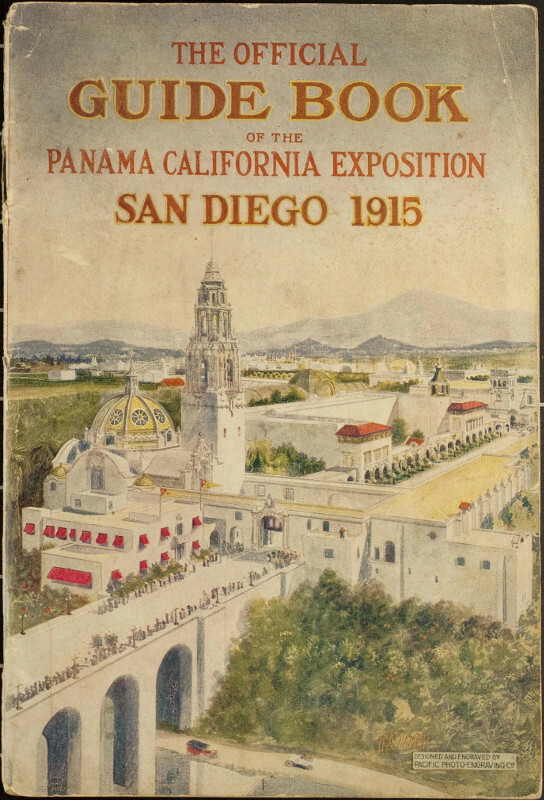 Cover of the 1915 Official Guide Book to San Diego’s Panama-California Exposition. The event celebrated the opening of the Panama Canal, and lasted through 1916. 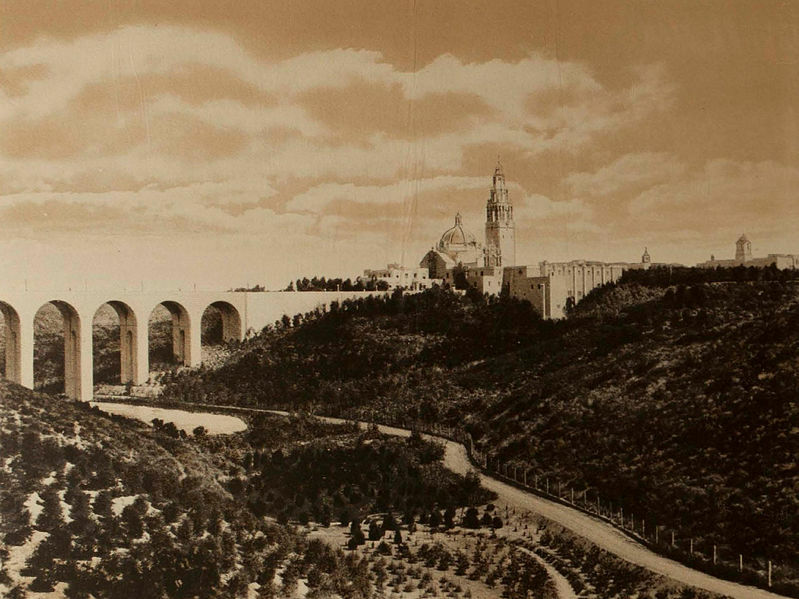 Aerial view from downtown San Diego of Balboa Park’s 1915 Panama-California Exposition. In 1910 San Diego had a small population of only 39,578. La Laguna Cabrillo lake and Camino Cabrillo road beneath Cabrillo Bridge. California State Route 163, a designated scenic highway, runs beneath the historic bridge today. 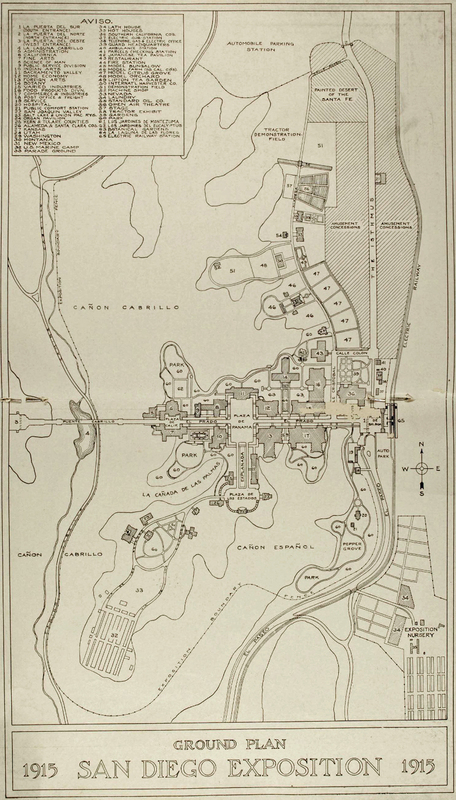 Detailed 1915 map shows Panama-California Exposition ground plan in Balboa Park (originally named City Park). 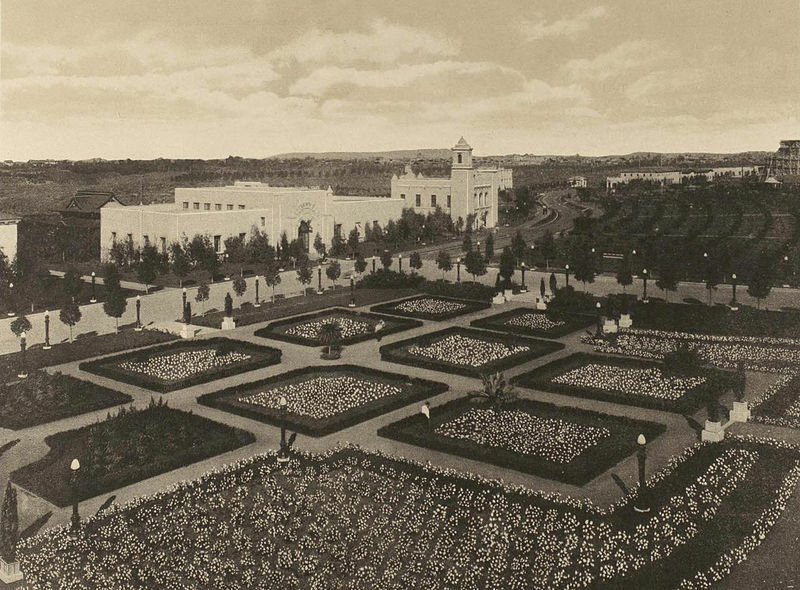 Photo taken of Balboa Park in 1915 from the California Tower provides panoramic view of many exposition buildings designed in the Spanish Colonial Revival architectural style. 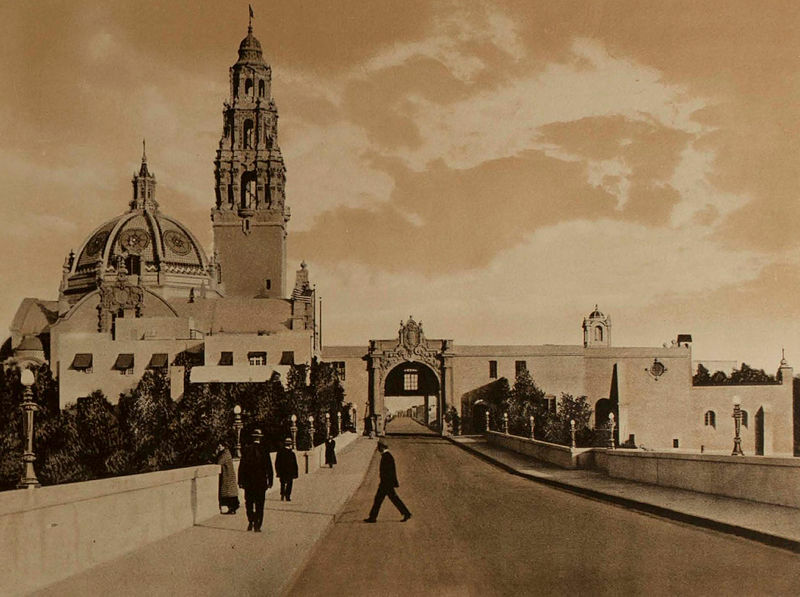 Looking west along El Prado through the heart of Balboa Park in 1915. At the exposition’s opening ceremony, President Woodrow Wilson activated the electric street lamps with a telegraphic signal. 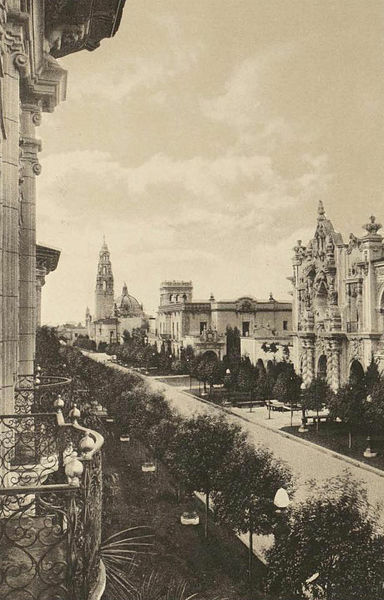 Commerce and Industries Building and Foreign Arts Building stand side-by-side on the south side of tree-lined El Prado. 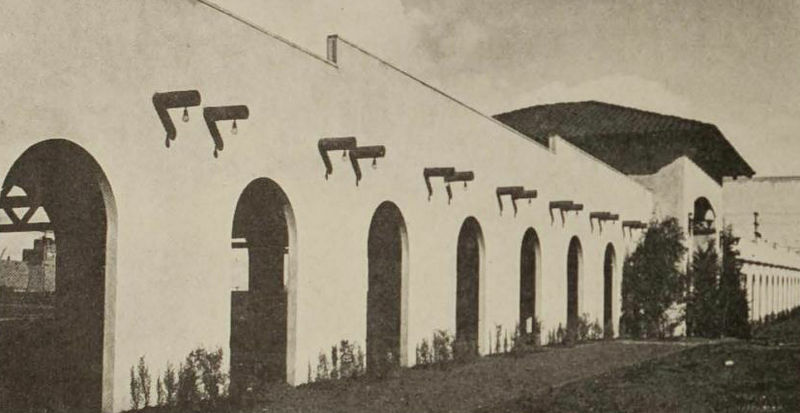 Today, the rebuilt structures are called the Casa de Balboa and House of Hospitality. Commerce and Industries Building. Rebuilt as Casa de Balboa, it’s now home of Museum of Photographic Arts, San Diego History Center, and San Diego Model Railroad Museum. 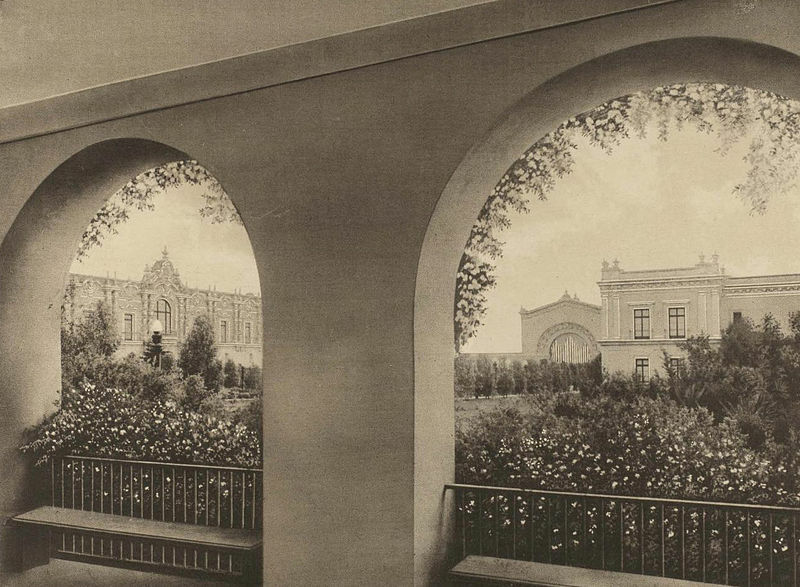 View of shady pergola and the iconic 208 feet tall California Tower from Los Jardines de Montezuma (Montezuma Gardens) in 1915. 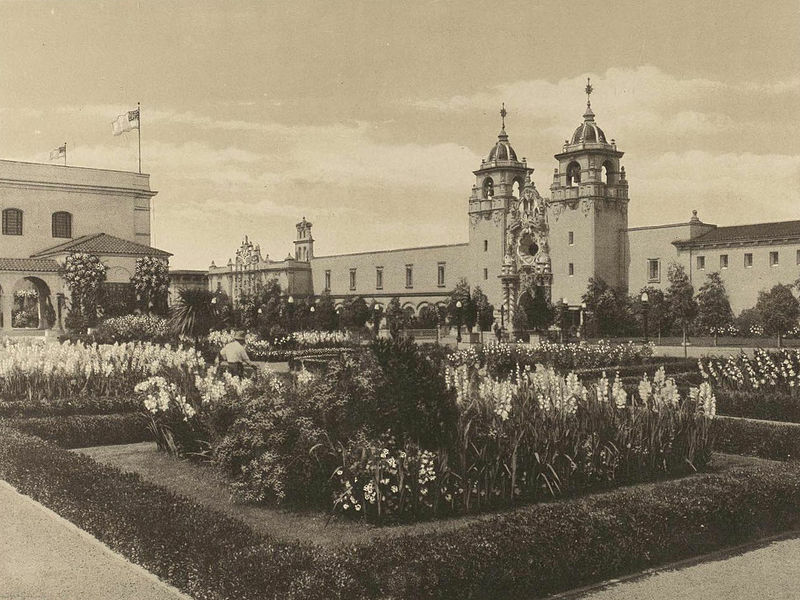 Los Jardines de Montezuma (today named Alcazar Garden) at Balboa Park’s Panama-California Exposition. 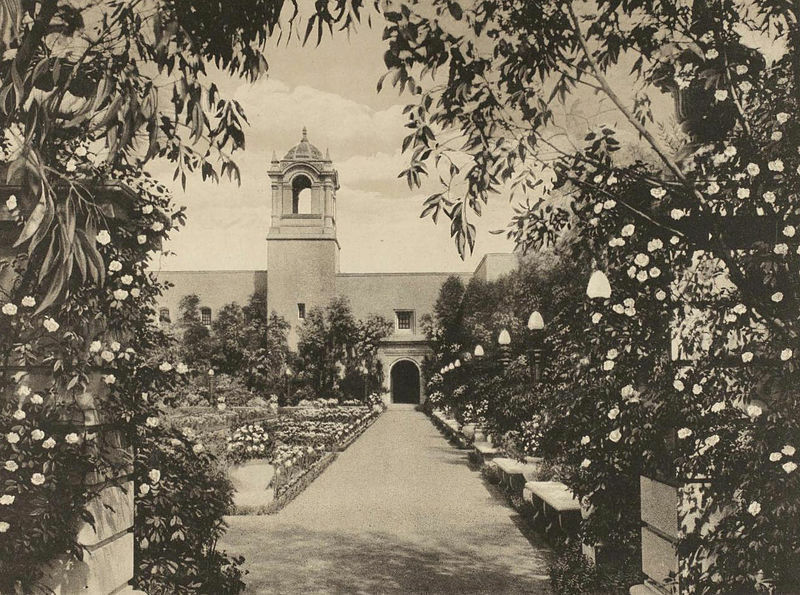 Spacious gardens near California State Building’s landmark dome and bell tower during the Panama-California Exposition. 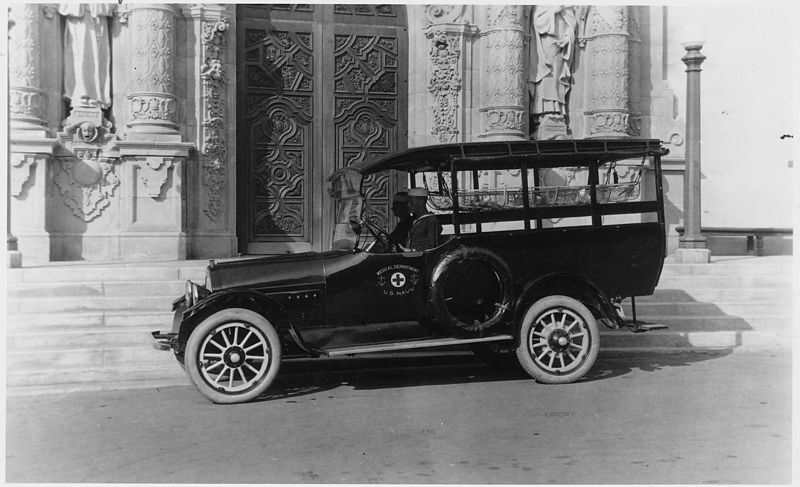 U.S. Navy ambulance parked near entrance of the California State Building, today the Museum of Man. Kids feed pigeons on the central Plaza de Panama. 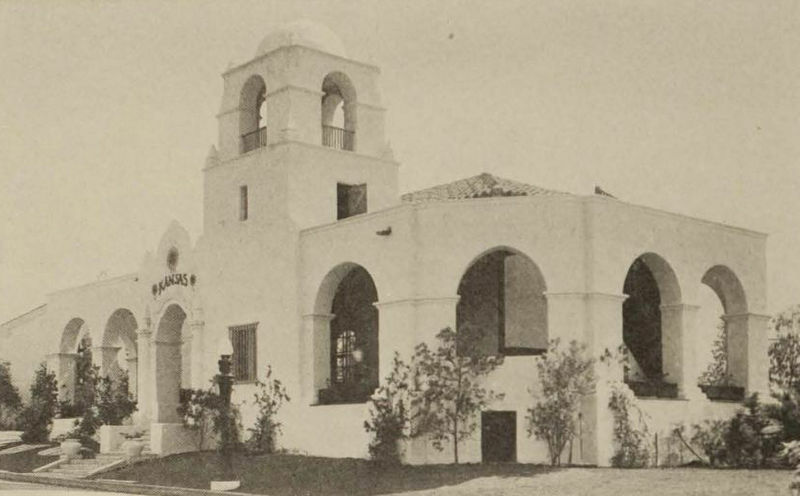 The Indian Arts Building with mission bells on left was renamed House of Charm and reconstructed in 1996. It now contains the Mingei Museum. Expansive gardens near the Food Products Building. Today’s enormous Moreton Fig Tree was planted in 1914 near this location. Elegant facade of Food Products Building, which was eventually reconstructed in 1971 as part of the Casa del Prado. It’s now the entrance to the San Diego Junior Theatre. 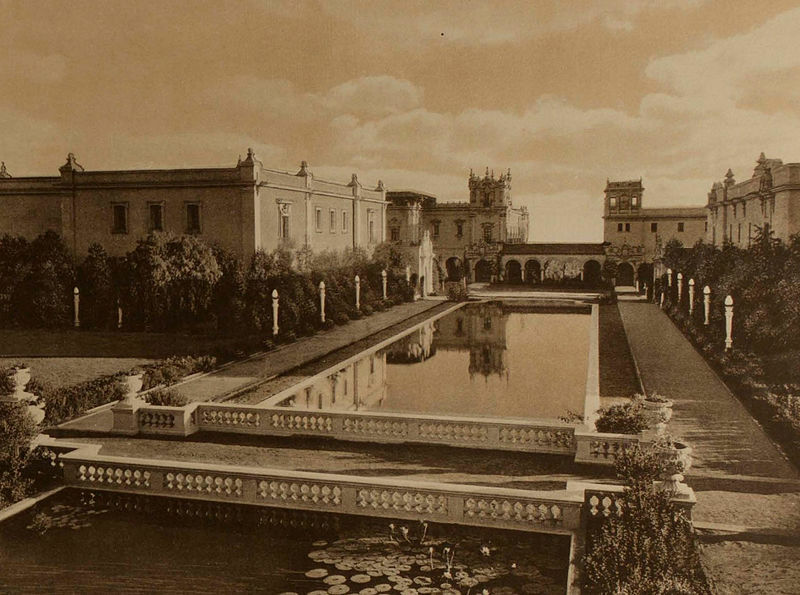 View of La Laguna de las Flores, the reflecting pool (or lagoon) at the Panama-California Exposition. This area was called the Botanical Court. 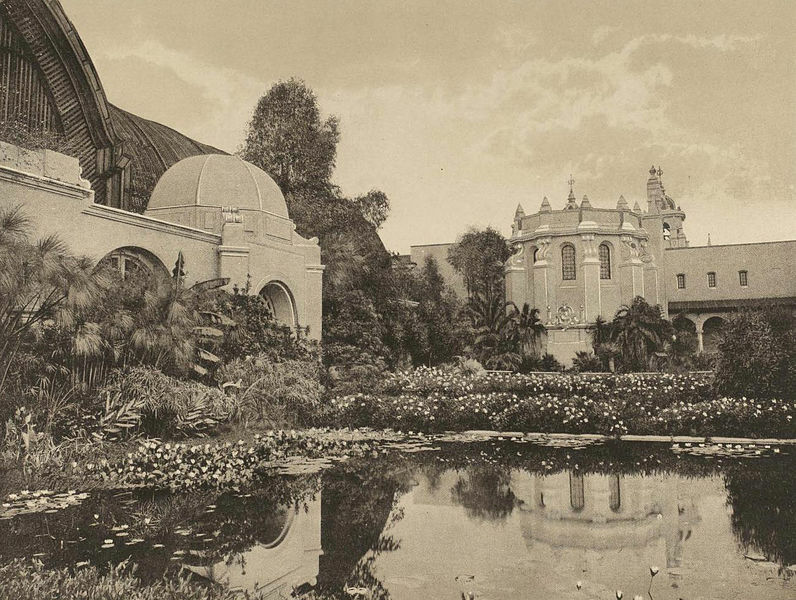 The Botanical Building, then and now one of the largest lath structures in the world. In 1915 its popular name was Lath Palace. Fountain by Botanical Building at the Panama-California Expositon in Balboa Park. The Botanical Court a hundred years later remains largely unchanged. Gazing over reflecting pool at Commerce and Industries Building and Foreign Arts Building. A favorite photographic spot for a century in San Diego. Food Products Building is reflected in tranquil lily pond directly in front of the large lath Botanical Building. 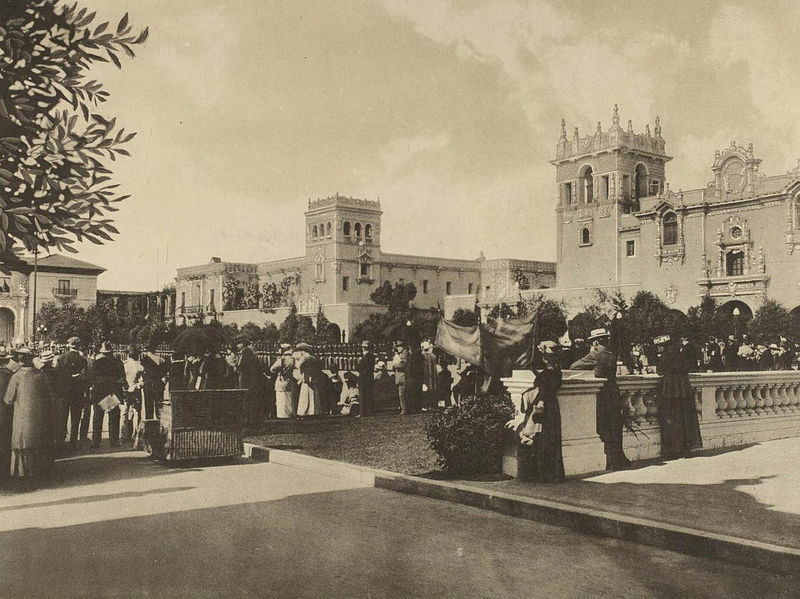 View of tree-lined El Prado from second floor of Varied Industries Building, which is now part of the Casa del Prado. Varied Industries Building seen from the west a short distance. Rebuilt as a part of Casa del Prado, today it houses various art and botanical organizations. Home Economy Building (left of Foreign Arts Building), site of today’s Timken Museum of Art. A wicker Electriquette motor cart is visible among people in the Plaza de Panama. 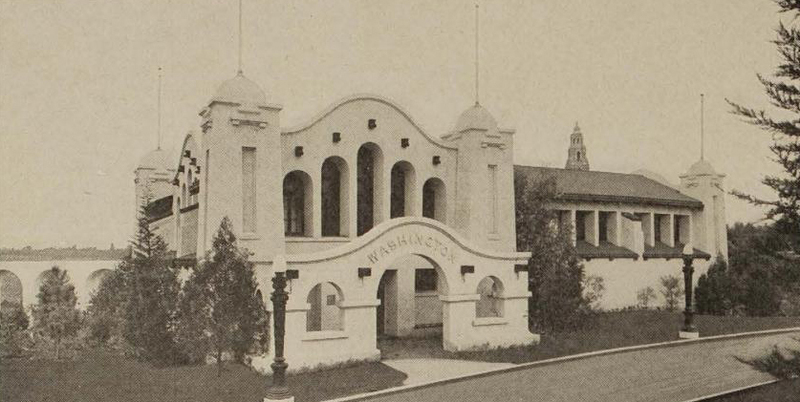 Fine photo across Esplanade of the Indian Arts Building, rebuilt in later years and renamed the House of Charm. 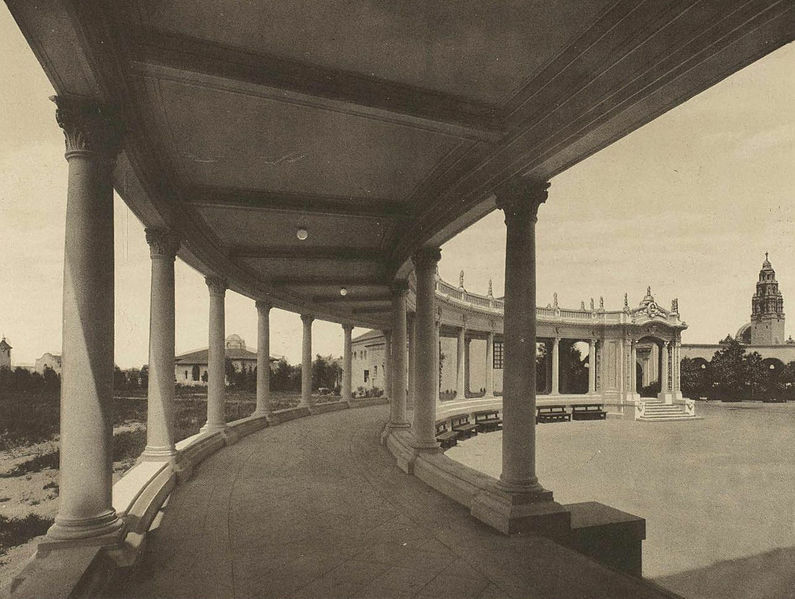 Organ Pavilion colonnade with California Bell Tower in distance. Trees and a large parking lot exist today on the left, behind the classic structure. 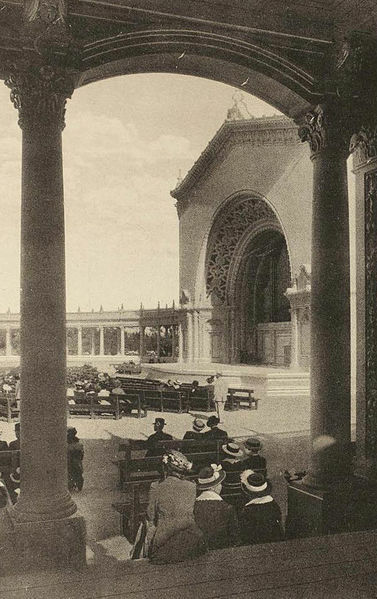 View of Spreckels Organ in 1915, from a shady spot in the colonnade. Those wooden benches were replaced many years ago with benches made of steel. 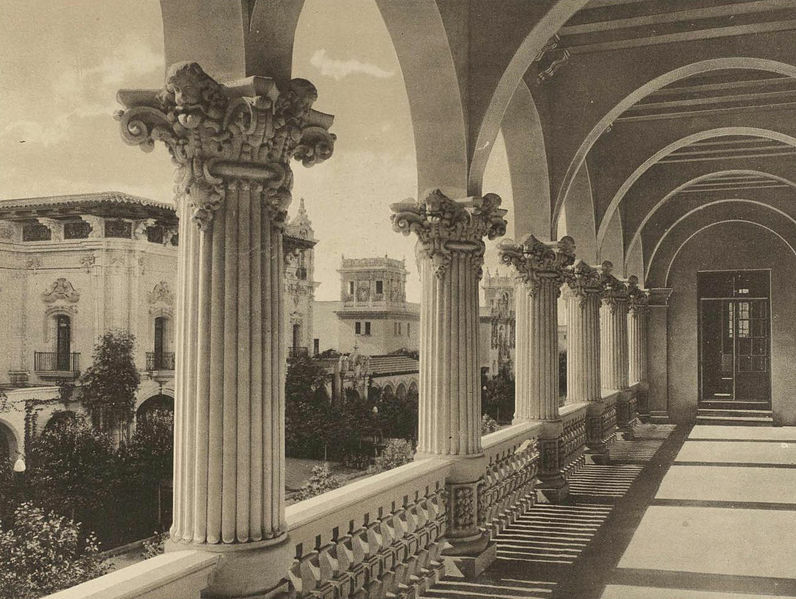 The distant Organ Pavilion appears in this photo between the San Joaquin Valley Building and the Kern and Tulare Counties Building. 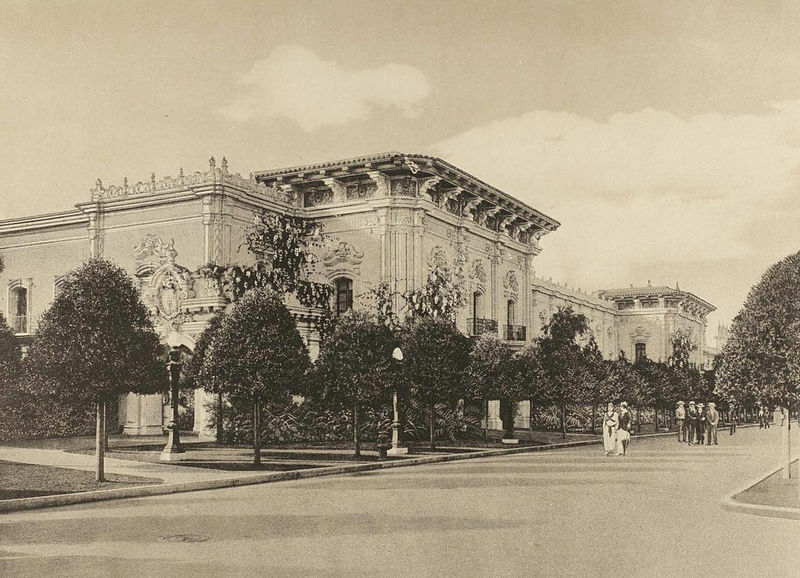 Kansas State Building at Panama-California Exposition. Most of these old state buildings no longer exist today, a hundred years later. Montana State Building, near the site of today’s International Cottages. 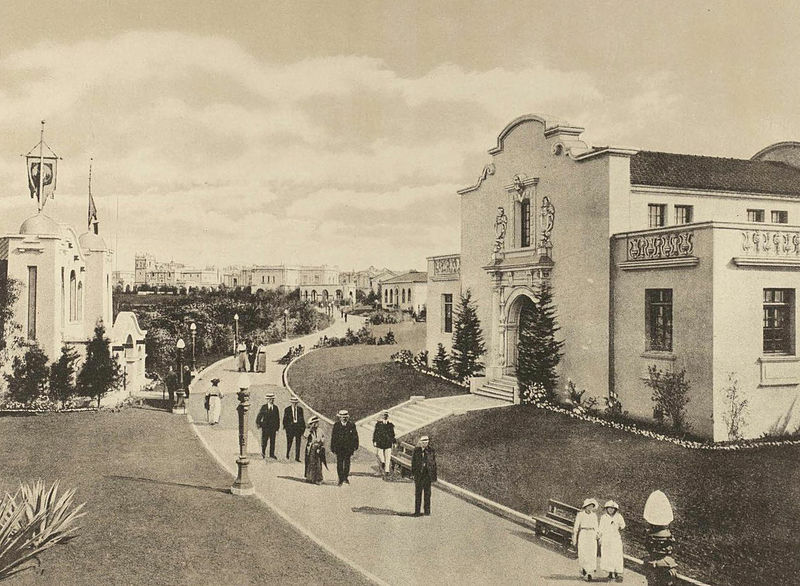 People take a stroll past a handful of state buildings at the Panama-California Exposition in Balboa Park. 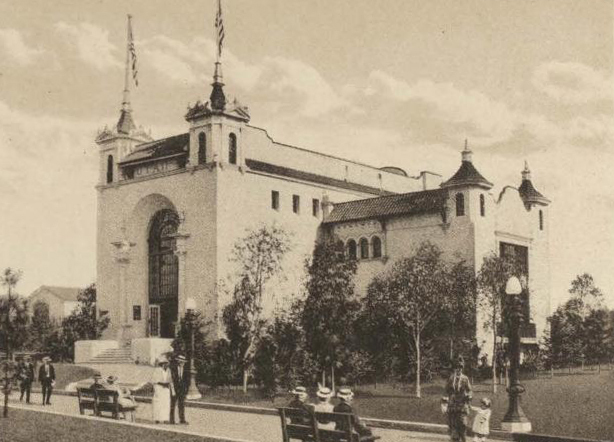 Utah State Building at the Panama-California Exposition. 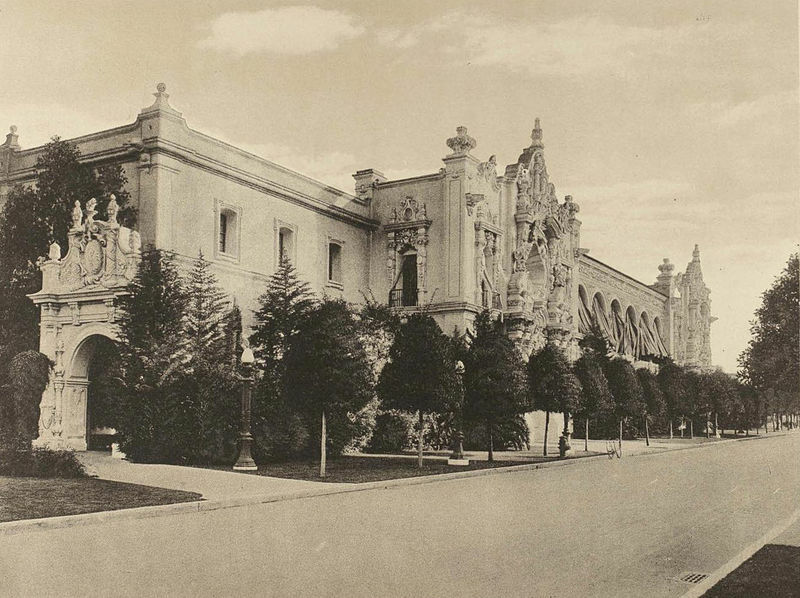 Washington State Building at the Panama-California Exposition. 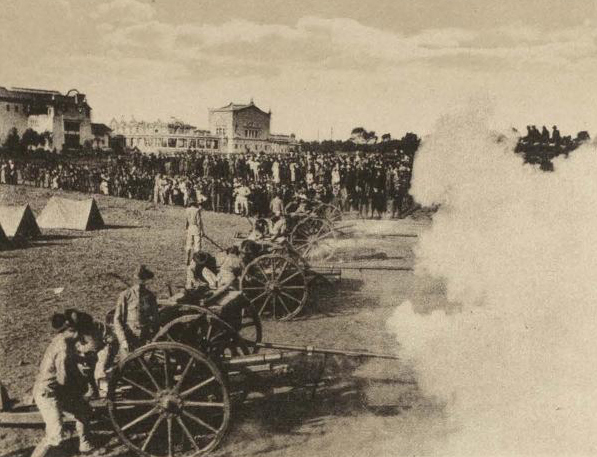 Artillery practice at the exposition’s U.S. Marine Camp, which was located near the site of today’s Air and Space Museum. 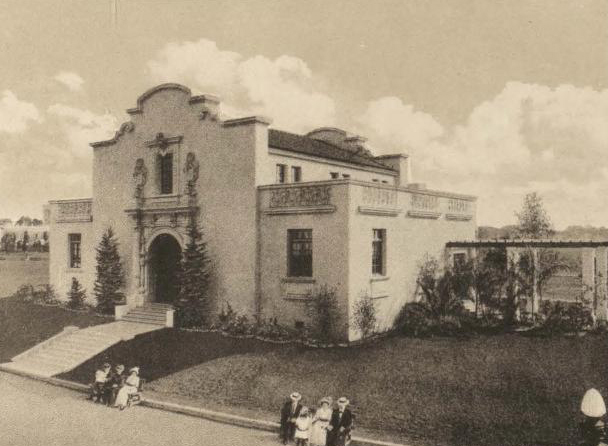 Southern California Counties Building, which stood a century ago in Balboa Park at the site of today’s Natural History Museum. 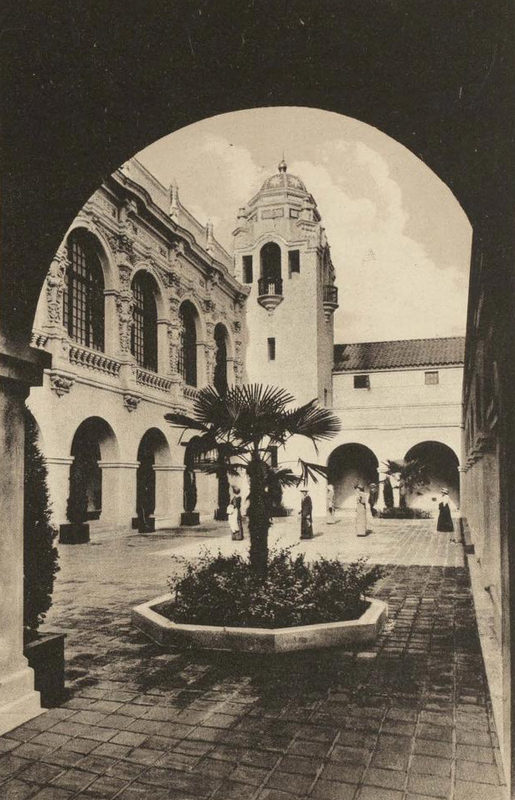 Visitors back in 1915 enjoy the Southern California Counties Building’s elegant patio. Large area called the Painted Desert at the Panama-California Exposition. This unique attraction was near the site of today’s Veteran’s Memorial. 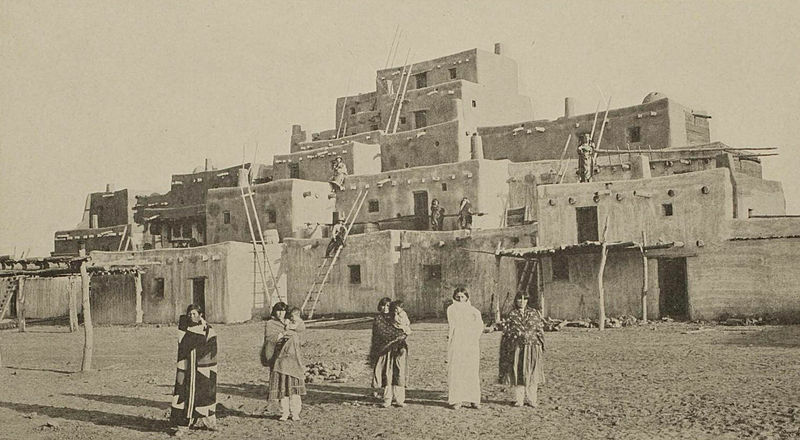 The elaborate Taos pueblo in the Painted Desert was a fantastic sight at San Diego’s Panama-California Exposition. 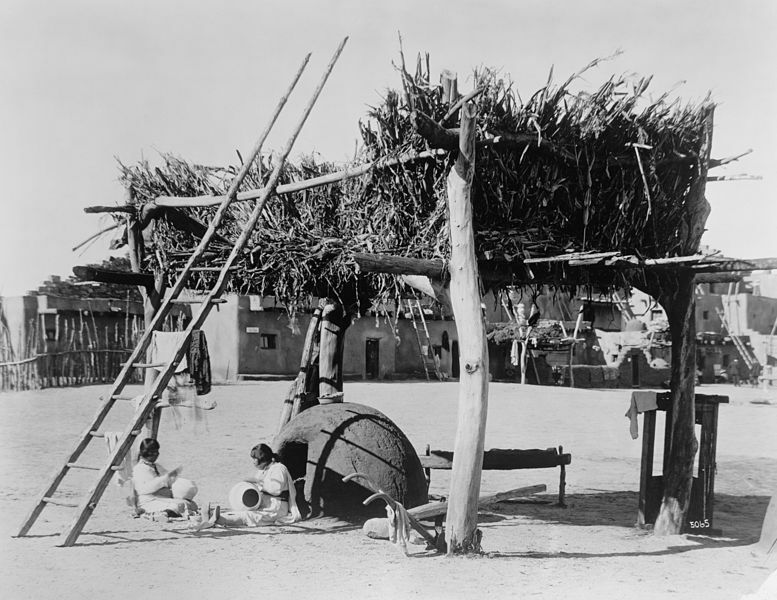 Realistic exhibit shows Zuni native life at the Panama-California Exposition in San Diego’s Balboa Park. 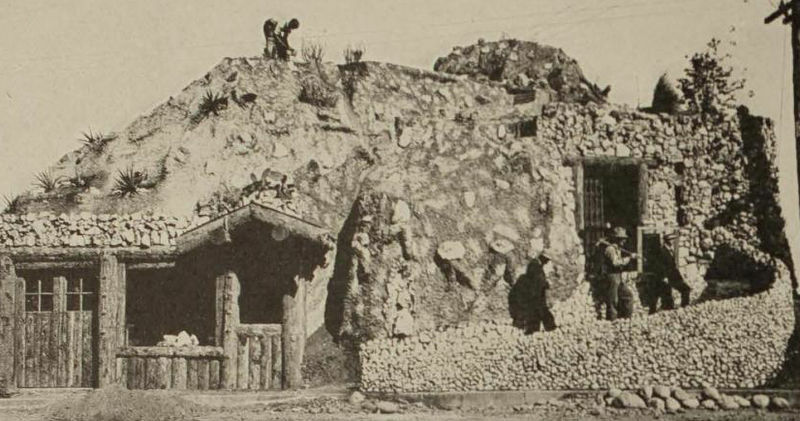 The Pala gem mine was one of the amusements along the Isthmus north of El Prado, near today’s San Diego Zoo parking lot. It featured a 300 foot long tunnel filled with simulated gems. 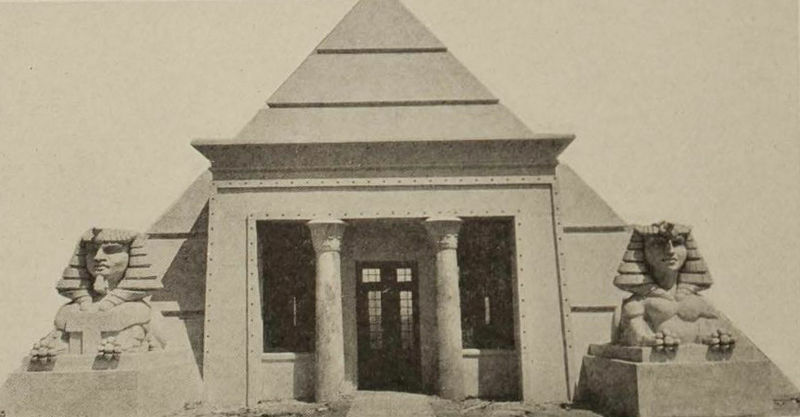 The Cawston Ostrich Farm was an Egyptian pyramid-shaped amusement on the Isthmus, a section of the expo popularly called the fun street. 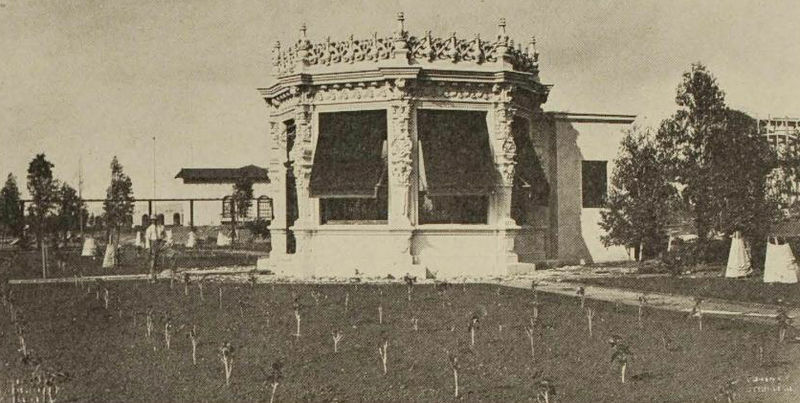 The Japanese Tea Pavilion, northeast of the Botanical Building in 1915. 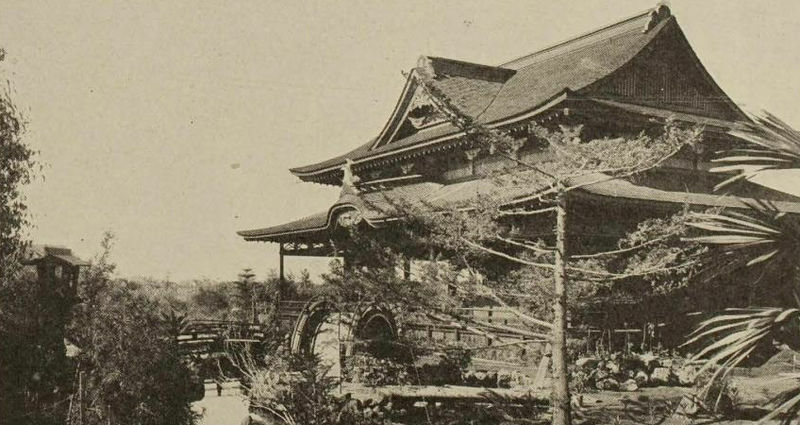 Today, the Tea Pavilion at the Japanese Friendship Garden is located elsewhere and appears entirely different. 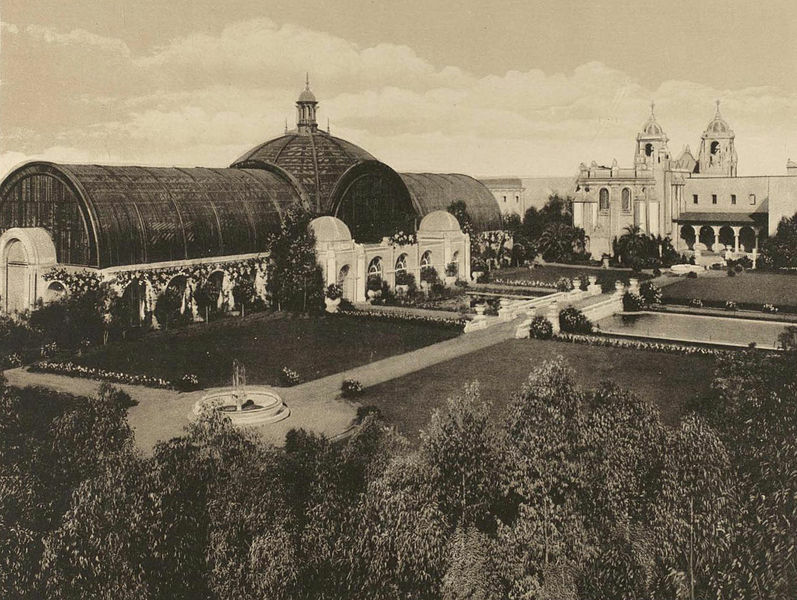 Citrus and other gardens in a wide north section of the Panama-California Exposition. This is near the entrance of today’s San Diego Zoo. 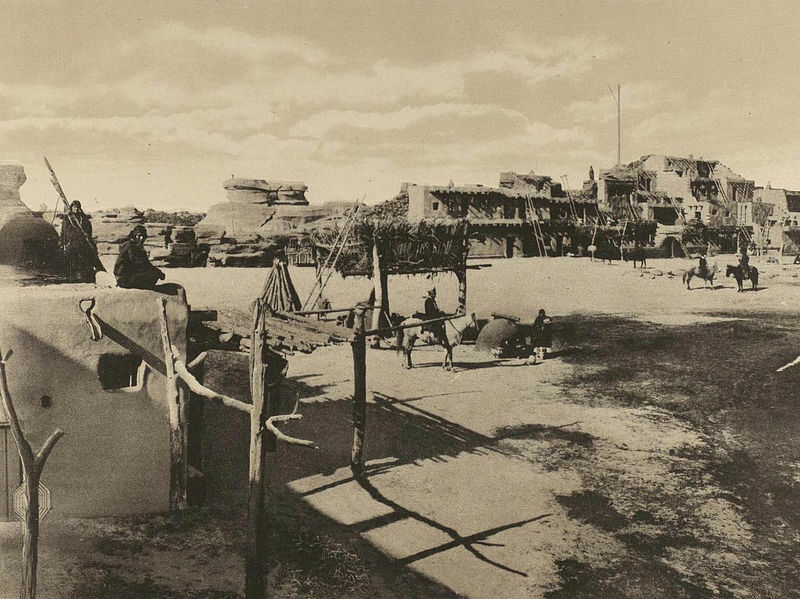 The long Tractor Building was located near a tractor demonstration field, just west of the Painted Desert. 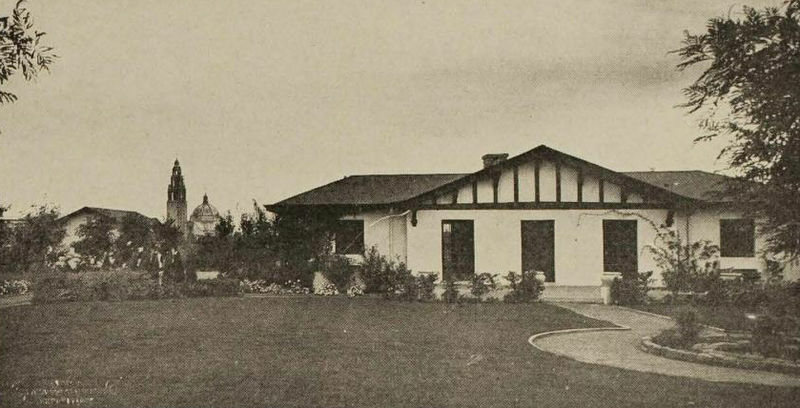 California bungalow, surrounded by model farm at the 1915 exposition. Agricultural exhibits and demonstrations were an important part of the event. 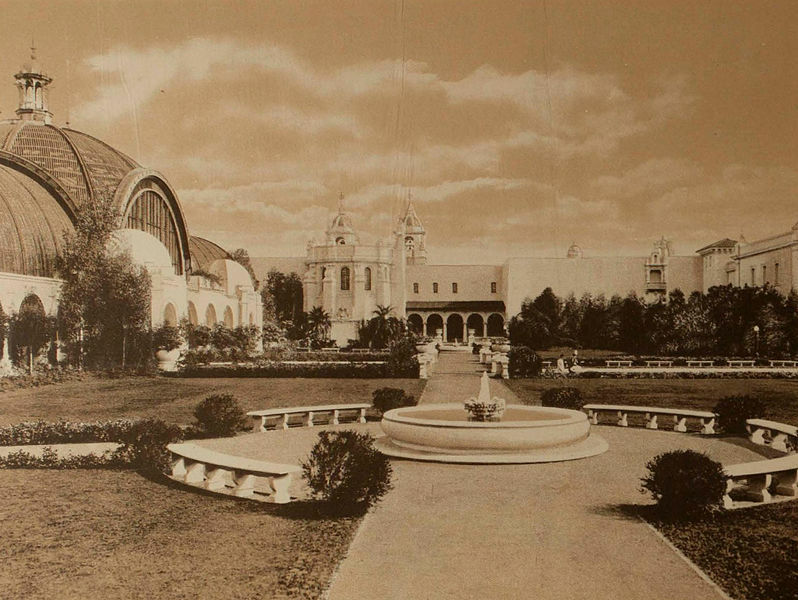 The Lipton Tea Gardens at the Panama-California Exposition, one more interesting image from San Diego’s rich history. Wonderful to see these old pictures. Thanks for digging up the info and sharing it. I’m going to re-blog it! 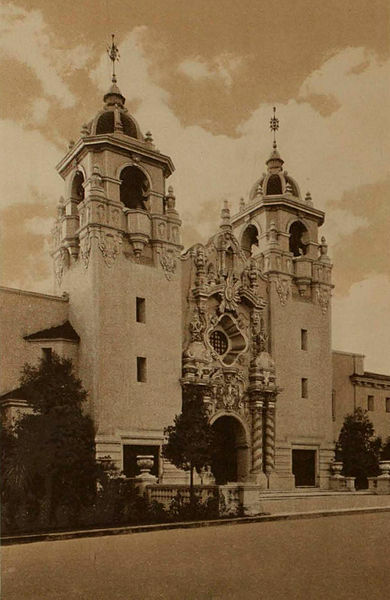 I’ve posted a few posts of Balboa park so thought you’d enjoy this post by a San Diego blogger, showing photos of the original Balboa park 100 years ago. Enjoy! Cool! It was really fun and interesting doing the research–I learned a ton of stuff I knew nothing about! Previous Previous post: Amazing modern masterpieces visit San Diego. Next Next post: Joyful colors of Christmas at December Nights.